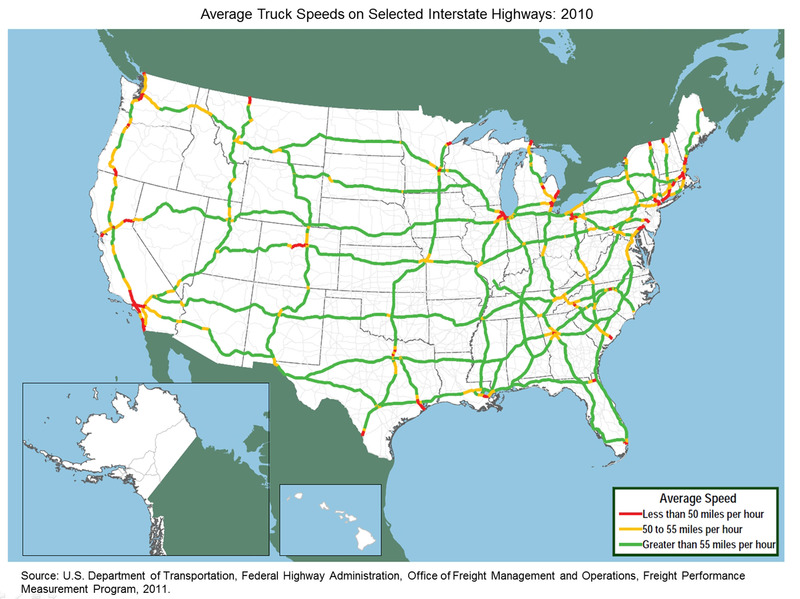 In addition to calculating peak-period congestion from traffic volumes, as shown in other figures, the Federal Highway Administration (FHWA), in cooperation with private industry, measures the speed and travel time reliability of more than 500,000 trucks at 250 freight-significant highway infrastructure locations on an annual basis. Average truck speeds drop below 55 miles per hour near major urban areas, border crossings and gateways, and in mountainous terrain. 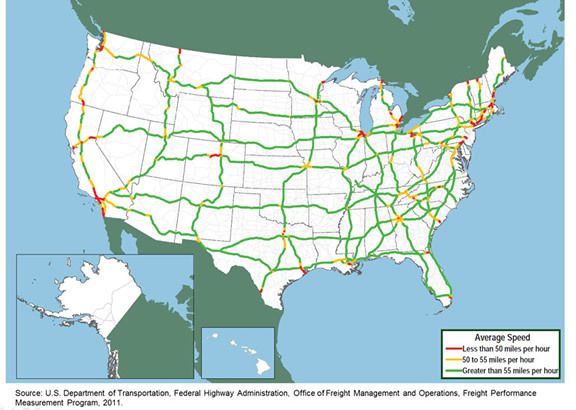 U.S. Department of Transportation, Federal Highway Administration, Office of Freight Management and Operations, Performance Measurement Program, 2011.